One Mofe Aghaye, a graduate of the Department of Political Science, Obafemi Awolowo University is reportedly missing. Mofe was last seen on Thursday, 7th May, 2015. He is currently serving in Abuja. Anyone with useful information about him that may lead to his discovery should kindly report to a nearest police station. 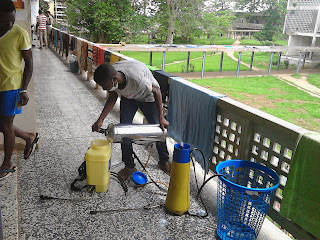 The rooms in virtually all the eight undergraduate halls of residences of Obafemi Awolowo University are been fumigated in preparation for the resumption of the 2014/2015 academic session. An exercise that has started some days ago is likely to extend till Saturday evening as the persons handling the fumigation exercise were seen this morning in some Halls of Residences where they are fumigating the rooms. Our correspondent in Awolowo Hall reported that as at 11:00am this morning, the fumigation of the main blocks just started and it will take a whole lot of time to get the whole hall done. In the meantime, some fresh students have started to resume. The campus is in a stable state as power supply has remained stable except for some times now that water supply cease and resume. 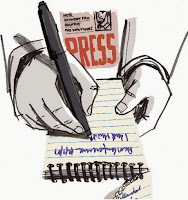 Gentle men of the press, the working masses, the base and threshold of change and the general public, the doggedness and tenacity of Nigeria students must be well adulated at this interval of our continued struggle and sustained agitation for better society which has been channelled towards ensuring and attaining not just modicum of change but as well a wholesale spread of the much needed change. The Students’ Union being the fifth estate of the state has and will continuously maintain its non- partisan stand and will never cease to darn its gown of being a pressure group so as to press home the needs and want of its people. However, under this same parlance, the Great Ife Union, a pacesetter in Students’ Unionism both at the local and national stage, will never stop to be at the vanguard of political, economic and even moral agitation as it affect Nigeria Students both at home and in Diaspora. 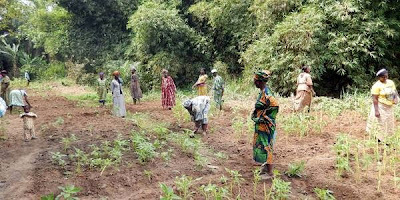 An international research consortium which includes Duro Oyedele, a Professor of Soil Science, Obafemi Awolowo University, Ile-Ife will receive a total $4,450,000 million (4.45 million Dollars) for a project in partnership with the Osun State University, University of Parakou, Benin, University of Manitoba and University of Saskatchewan, Canada to advance Under-Utilized Indigenous Vegetables (UIVs) in Southwestern Nigeria and Benin Republic. 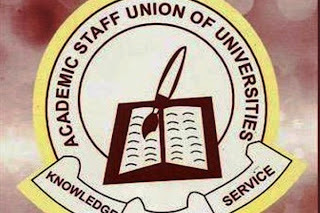 The Academic Staff of Union of Universities, ASUU Obafemi Awolowo University OAU chapter has demanded unconditional release of one of its members, Dr. Femi Omisore who was kidnapped in Ado-Ekiti at the weekend. The OAU’s ASUU chairman, Dr. Caleb Aborisade while speaking after an emergency congress of the union yesterday lamented the kidnap of Omisore and debunked the rumour that Dr Omisore has been killed by his abductors. “The whole congressmen condemned the abduction of our colleague and the killing of the driver. We sympathise with the family of Dr Omisore’s driver, who was killed by the kidnappers and identified with the family of our colleague. We demand the immediate release of Dr Omisore. Omisore, a lecturer at the Department of Environmental Design Management of OAU was abducted on his way to attend a funeral at Oye Ekiti in Ekiti State on Saturday. The Obafemi Awolowo University Muslim Graduates’ Association (UNIFEMGA) has awarded scholarship worth N3.6 million to 59 students of the university. The National President of UNIFEMGA, Prof. Abudulwahab Egbewole, stated this at the presentation of the N3.6million cheque to the beneficiaries at the 2015 Re-Union of the Association on Saturday in Ile-Ife, Osun. Egbewole said that UNIFEMGA has awarded scholarship to 321 students of the institution worth N17.6m since the inception of the programme in the 2009/2010 academic session. “It is gratifying to note and to put on record that 16 of our awardees bagged First Class degrees at the last convocation ceremony of the university,’’ said Egbewole. According to him, the lesson that the awardees should learn is to give back to the society when Allah has blessed them, saying this is the only way that this gesture can be sustainable. Worried by failure to have a government university in the area to meet the educational needs of its teeming youth population, the people of Oke-Ogun in the northern part of Oyo State covering 10 local governments, have initiated moves to establish university of their own. Spearheading the project, the Oke-Ogun Development Council (ODC) at the weekend set up a committee to facilitate the establishment of the university at Agunrege community. The committee is headed by a lecturer at Obafemi Awolowo University (OAU), Ile-Ife, Prof. Kehinde Yusuf. At the inauguration programme held in Iseyin, the Deputy Governor of the state, Otunba Moses Alake-Adeyemo, assured the people of the area of government's support for the project. He also promised government’s full involvement in the running of the university. 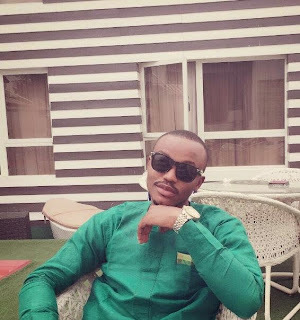 A lecturer at the department of Environmental Design Management at the Obafemi Awolowo University, (OAU), Ile-Ife, Dr. Femi Omisore, has been abducted by unknown gunmen. It was gathered that the lecturer was kidnapped at Ado Ekiti while on his way to Oye-Ekiti, Ekiti State. According to a source, the kidnappers also killed the driver of Omisore and burnt his vehicle to ashes. It was gathered that the hoodlums trailed the lecturer and the attempt by his driver to escape them cost him his life as the kidnappers gunned him down, dragged his boss out of his car and whisked him away. They then fired at the petrol tank of the vehicle and set it ablaze. The chairman of the OAU chapter of the Academic Staff Union of Universities (ASUU), Dr. Caleb Aborisade, confirmed the incident: “It is true. He was taken away and his driver was killed. His car was also burnt.” he said.